In collaboration with the Mental Health Association of Essex and Morris (MHAEM), the New Jersey Association of Mental Health and Addiction Agencies (NJAMHAA) is proud to showcase a portion of the MHAEM Inside Out Project Group Action initiative at NJAMHAA's headquarters. MHAEM's traveling exhibit features 23 portraits of individuals whose lives have been impacted in some way by mental illness; some live with a mental illness, some are family members or caregivers for individuals with mental illness, and others work in the field of mental health care. The exhibit aims to raise awareness about mental health conditions and treatment, as well as reduce the stigma associated with mental illness. It exemplifies the notion that mental illnesses are often invisible and that anyone can have one, no matter their outward appearance. When asked what prompted MHAEM's participation in this global art initiative, CEO Bob Davison, MA, LPC, explained, "We wanted to do a public works project to raise awareness in regard to mental health, mental illness, and more importantly, recovery." Davison selected Renee Folzenlogen, a family support counselor at MHAEM who specializes in art therapy, to lead the initiative. The portraits have been featured at many NJ Transit train stations, including Newark Penn Station and Secaucus Junction. Folzenlogen explained her personal thoughts on the exhibit and the value that she sees in it, saying, "A colleague recently told me, 'It's amazing how mental illness brings people together.' I thought this was a brilliant notion because we more often think of mental illness as divisive, isolating and marginalizing. I'm excited to see the ripple effect of each person's story and how creating a safe space really brings people together in a truly joyful and hopeful way." "We are delighted to feature the Mental Health Association of Essex and Morris' Inside Out Project Group Action in our office space and at our Annual Conference. Ending the stigma associated with mental illness is critically important, and this event allows people to see the faces of people who have been impacted by mental illness in one way or another - they look just like you and me. We hope that by raising awareness about mental illness, treatment and other supportive options, we can combat the stigma that prevents many from seeking help, and that this helps to restore hope," said Debra L. Wentz, PhD, President and CEO of NJAMHAA. A portion of the Inside Out Project Group Action is currently showcased at NJAMHAA, 3635 Quakerbridge Road, Suite 35, Mercerville, NJ. 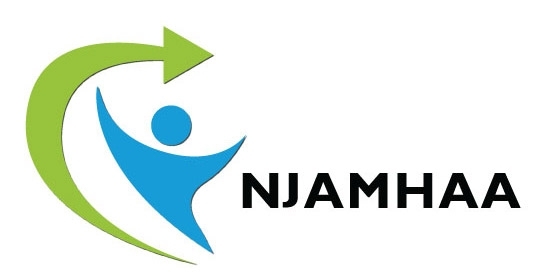 A representative installation will be on display for attendees of NJAMHAA's Annual Conference, The Ivy League of Behavioral Health, Policy, and Practice in Action, on April 15-16 at the Crowne Plaza Princeton, Plainsboro, NJ. Details and registration for the conference is available at www.njamhaa.org/events#ivy. The Inside Out Project was created by JR, a French artist who was the recipient of the 2011 TED Prize for his work to promote the diversity of the human experience. Each exhibit features large-scale and close-up photographic portraits of individuals in order to make a statement for the message that they are trying to convey; topics have included gender equality, diversity, and climate change. Since its inception, the global initiative has had 300,000 participants in 140 countries.